An earlier post described how I spent my actual birthday and mentioned that we would be going on a weekend trip. We did so this past weekend and visited family in the nearby New England states of CT and RI. The CT family visit was also to drop-off our our no-longer-needed 26-inch TV to Grenville's aunt and uncle. Now that we have a newer and larger TV in the LR, the one formerly in that space has been relegated to the BR. 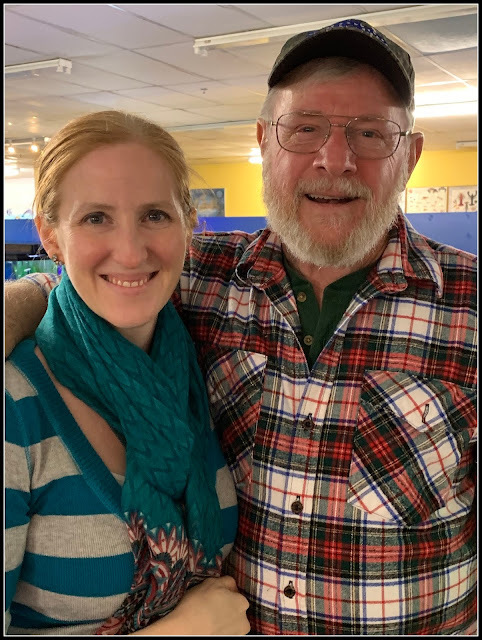 After our CT visit on Saturday, we traveled to RI to spend time with grandchildren Bobby and Ellie and their mom, Shannon. 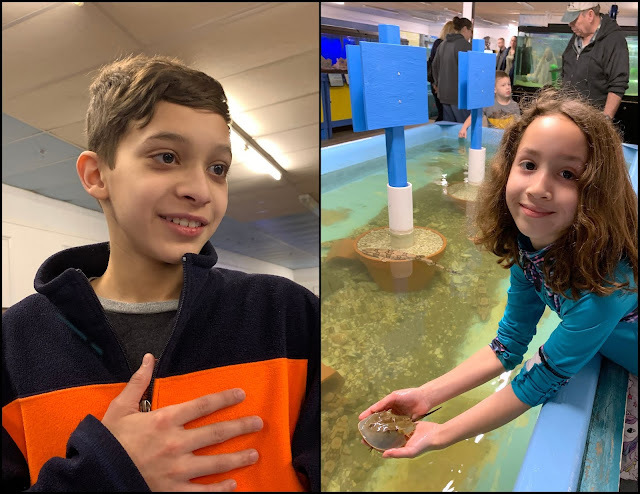 We met up at the Biomes Marine Biology Center in RI. 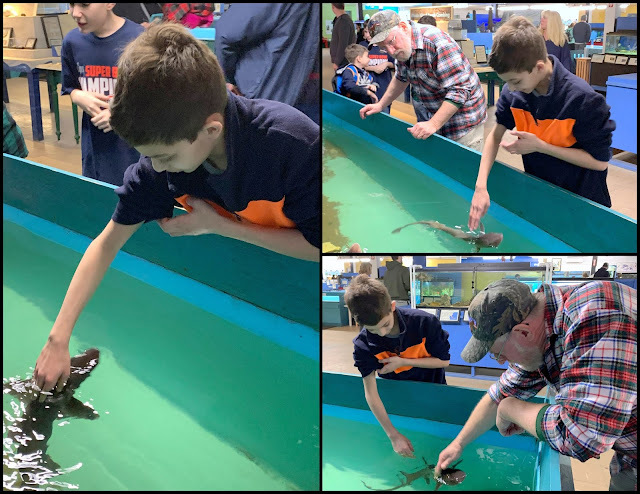 This was a first-time visit for us and we learned that this facility is New England's only private marine education facility and the most hands-on aquarium in the region. 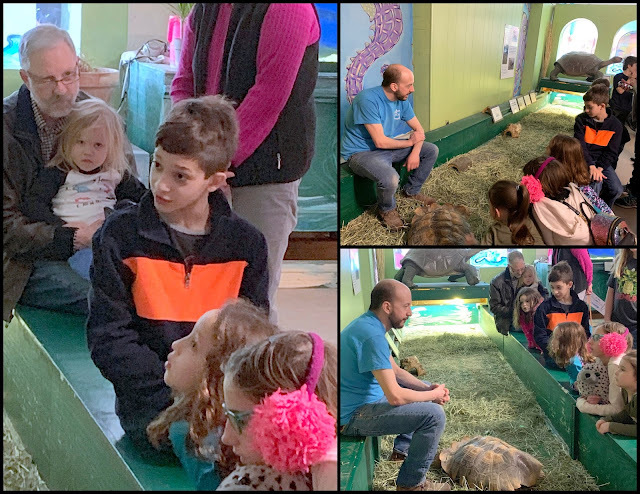 Since 1989, it's focused on teaching children and adults about the marine life of Narragansett Bay and the Atlantic Ocean. 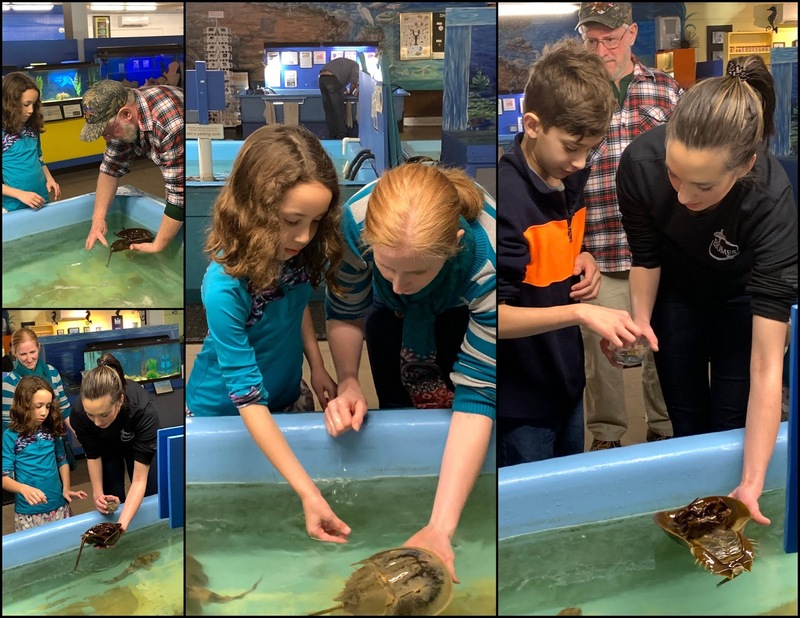 The facility features lots of touch tanks and hands-on exhibits. Families can freely explore the exhibits which feature printed information on the marine life. Biomes boasts the original shark-petting tank in New England. 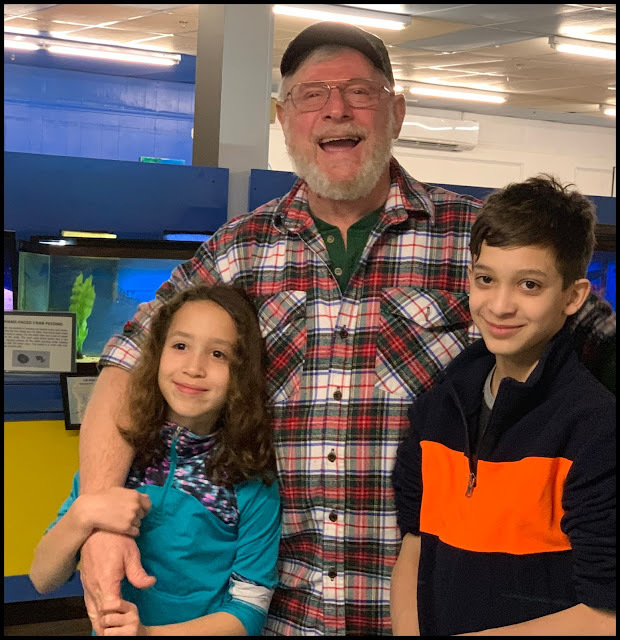 Grandson Bobby, who was apprehensive about the touch tanks soon became "friends" with a sand shark that he named "Buddy." Biomes is a private, locally-owned education center and as such it's not funded by grants, donations or corporate sponsorships. The facility is self-sustaining and is funded solely by admissions and program fees. 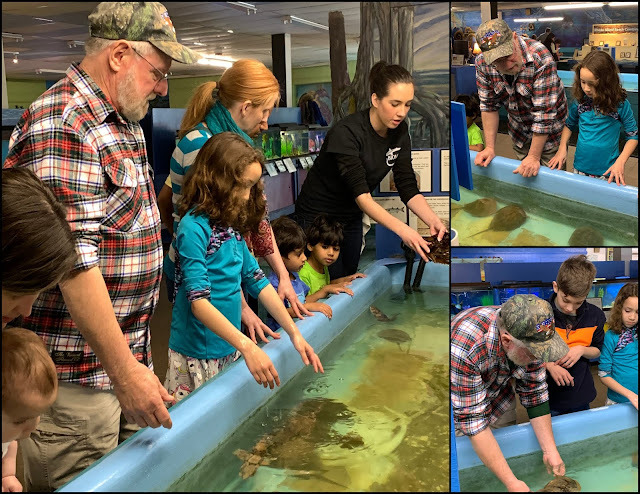 All marine animals on display have been collected in Narragansett Bay by staff and volunteers; no animals have been purchased or imported. Biomes founder, Mark Hall, is a 1986 graduate of the University of New Hampshire. As a teenager, he began a wholesale collecting business to supply marine specimens to high school science classrooms across the country. After college, Hall traveled to schools throughout southern New England to demonstrate his collection of living ocean life. 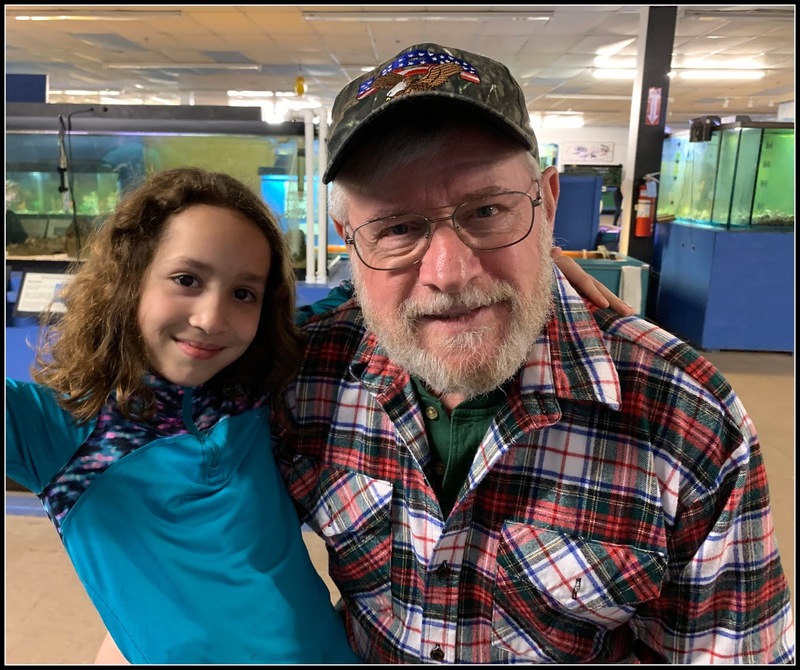 In 1995, he opened a small educational facility in North Kingstown, RI to house the marine life used in the traveling shows and to provide a venue for class field trips. The present facility we visited was opened at the end of 2013. We grandparents had a fun afternoon too. This was a wonderful "birthday" getaway weekend. We're planning to give Bobby and Ellie a membership as part of their holiday gifts this year. Their mom introduced us to gifting "experiences" vs. a lot of gifts which re often soon forgotten. It was a wonderful idea as last Christmas we gifted several experiences: ice skating, roller blading and an Audubon membership. What a great enterprise started by one person. What a wonderful time you had with your grandchildren. That really is quite a birthday present! This post reminds me of the one year I spent at the University of Rhode Island in 1988. It was beautiful in North Kingston, and I love Narragansett Bay. PS-- You have a beautiful family! A gift that everyone loves. Brilliant. I am quite envious. How interesting! A marine facility where both children and adults can have fun and learn things about marine life.Grenville is the star. Wonderful photos! It looks like everyone had a fun and educational time there. Looked like a wonderful way to celebrate! Beautiful daughter you have! Sounds like a fun adventure. It's good that you all enjoyed it. What an amazing gift. Looks like an amazing place to visit. I would enjoy visiting there. There's so much that can be learned by touch. The look in their eyes says it all. Great gift and so fun! Loved all the pictures. HAPPY BIRTHDAY my dear Beatrice!!!!!!!!!!!!!!!!!!!!!!!! may you see many more happy returns of the day with you precious family! i can see so much love and happiness shining through your beautiful post! What a wonderful place to visit and enjoy ! enjoyed each bit you shared about this place here my friend! Family fun is the best! Love those happy smiling faces! Enjoy your weekend!